“It’s The TASTE That’s All That Matters”!! It boasts tremendous intensity as well as a big, sweet bouquet of creme de cassis, black cherry liqueur, licorice, and roasted meats bathed in Provencal herbs. With superb purity, full body, and no hard edges, this savory, mouthfilling red will drink well for 2-3 years. Ok! You’re walking around a wine retail shop like the average consumer, wandering in a plethora of wine bottles, hunting and pecking for a label you recognize. You read descriptions on wine bottles or reviews like the one above but in reality all you are looking is for the label you recognize from The Olive Garden or when you were waiting for Antibiotics to be filled at your local pharmacy. After an hour of frustration of not finding your recognizable label you finally do the one thing that most retail consumers gag from the thought of doing and you ask for help, praying that the associate will just point you to the generic name brand you buy over and over and not even try to suggest something new and force you to expand your palate. You might even blurt out an opinion provoking phrase like “What do you think of Coppola”? I usually answer those phrases with answers like…”He is a fat Italian Film Director/Producer and I never got close enough to see what he tastes like”! I say that in a slightly humorous way to make a point. First of all as we discussed in previous blogs, it doesn’t matter if you remember the brand name of what you had at Macaroni Grill or a 5 Star Restaurant. Every vintage of every wine will taste different depending on the year the grapes were harvested from. I will die and have three more vocal chord polyp surgeries performed on me stressing that the VINTAGE is the most important or one of the most important factors determining if a wine will be good not THE LABEL OR NAME ON THE LABEL. Yes, even in a bottle of Yellow Tail. More importantly I want to reprint in bold lettering the description of a wine I posted above: It boasts tremendous intensity as well as a big, sweet bouquet of creme de cassis, black cherry liqueur, licorice, and roasted meats bathed in Provencal herbs. 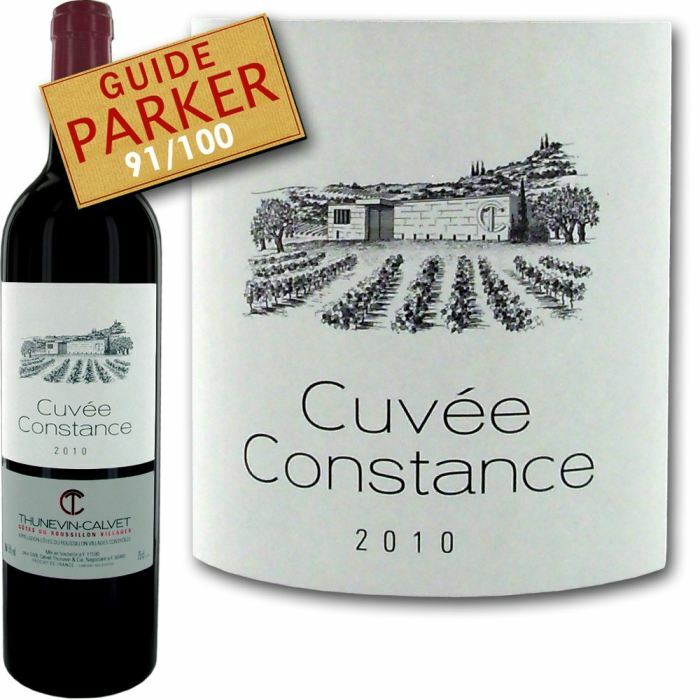 With superb purity, full body, and no hard edges, this savory, mouthfilling red will drink well for 2-3 years. If you read that description and that was the flavors and taste profile you were looking for, What Difference does it make if it is a Brand Name you Heard Of or if it is a Merlot, Cabernet Sauvignon, Shriaz, Malbec or Pinot Noir?? What if it were grape varietals that you NEVER heard of like Colorino, Tannat, Montepulciano, Bobal, Mazuelo or Nerello? For every description or flavor profile listed on the back of a bottle I can name 500 Wines that would meet those exact tastes so why not explore. The wine we are speaking of is a unique effort. The open minded who ask for assistance in a Wine Shop will get to experience this amazing $14.99 effort that never scores under 90 points. Those seeking out yet another Merlot, Cabernet, Pinot Noir, Malbec will not. None of those grapes are in this wine. This wine is produced in the Southern Part Of France by the Bad Boys Of Bordeaux from St.-Emilion’s bad boy, Jean-Luc Thunevin, and Jean-Roger Calvet. Constance is Jean-Luc’s Daughter and it is a blend of 60% Grenache, 30% Syrah, and 10% Carignan planted on a 25 acre vineyard with old, old vine grapes. What really amazes me is I usually hate high alcohol wines and this one has 15% and I hate over oaked wines and this has a smoky finish and yet the wine is aged in zero oak and in CEMENT VATS? Can Cement create such a silky textured, smoky wine? I guess so. It is a heady effort where the fruit is so ripe that it almost taste like someone spilled some Chambord Liqueur in a vat of wine. Creme De Cassis, Floral, Macerated Black Cherries, Licorice Smoky Meats just a pleasure to drink that makes you want to dive in for another sip. It’s just plain alluring! Think about this: $14.99 for a generic Supermarket Merlot or a 91 Point Rated Work of Art that Glides over your palate like an Olympic Ice Skater and aged in CEMENT TANKS. The message is clear. Forget the names, forget what your bff recommended you buy from Sam’s Club, forget the 20 pictures you took at Outback Steakhouse on your I Phone of Generic Wines, It is not the names or labels or sentimental value or even a review from me or Wine Spectator that matters. It is the TASTE THAT’S ALL THAT COUNTS. E-Mail me from this blog and I will tell you where you can purchase this great effort while limited supplies last. If not, I only have 1,956 other recommendations that I am sure your Accountant Or Neighbor doesn’t know about!! I am one of the ladies who came in to ABC this weekend asking for a wine suggestion to go with Manchego. You recommended the Godella from Galicia, Spain. Well, I just wanted to drop you a quick note to THANK YOU. The wine was delicious! You were so right about “too much oak” in the California wines. This Spanish wine was so very different and we enjoyed it so much that we will make it a point to stop in and see you for more suggestions. Thanks again! I hope you have a great trip on your next time around. I know you will continue to win! Thank you so much for the wonderful feedback. I am so glad you enjoyed such a unique Wine From Spain such as Godello. I am sure it was a wonderful match with the Sheeps Milk Manchego From Spain. I look forward to introducing you to great unique grape varietals and wines from all over the world. You are a pleasure to work with. Yes, I get a lot of flack from my Wine Colleagues about Bashing California Wines but I believe from a technical standpoint almost all of them are Over Oaked, Over Alcoholed And Waaaaayyyy Overpriced and people continue to just buy the names. There still are people I recommend those wines too I just personally don’t drink them myself. The sad thing is that vintage really doesn’t matter in many recognized brands that are out there. Those are wines that are truly made in the cellar and not the vineyard. After reading your blog,as recommended by my husband, I felt a but of kinship after you brought up the King’s Estate Pinot Gris, which is still one of my most memorable wine experiences. Sipping an amazing Pinot Gris with some Baby coho salmon in Canon Beach, Or on my anniversary. Tonight we sipped on Cuvee Constance and I want to say Thank you for finding this small gem. Such a great wine, headed out tomorrow to buy a bottle for my mom as a gift and of course another for me, maybe I will give Jeff a little! It’s 2017! I have a 2010 bottle. Does this age well? Can I store it or should I just drink it now? 2010 and from where ?